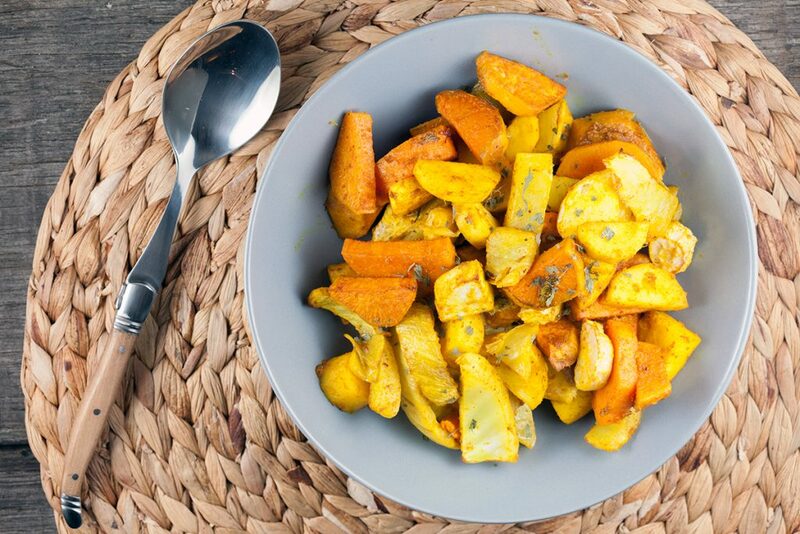 These turmeric roasted vegetables are a great and easy side dish. With parsnip, sweet potatoes and fennel. Ready within 45 minutes.